With the new Fortnite craze we need to ask ourselves, how addictive is gaming really? On Sunday 10 June, the Daily Mail reported that a 9-year-old girl become so addicted to the popular video game Fortnite that her parents found her with a “red-raw” bottom, after soaking in her own urine, because she refused to go to the toilet during her 10-hour sessions. Initially, she became unruly and aggressive and they were called in by her teacher because her grades were dropping and she was falling asleep in class. She’d lost interest in gym and ballet and they started noticing £50 purchases every month to Microsoft. That's when they sat their daughter down. The couple opted to limit their daughter’s time on the game, but the mom recalled how one night her husband saw their daughter's light on and found her in a “urine-soaked cushion” still playing the game. “I found her backside was red-raw. She was so hooked to the game she wouldn’t even go to the toilet. After contacting professionals, the young girl is now receiving therapy for her addiction. He claims that seeing celebrities endorsing the game is the "perfect gateway" to getting kids hooked. "You see Premier League footballers celebrating goals with Fortnite dances and it’s the biggest possible advert for kids." 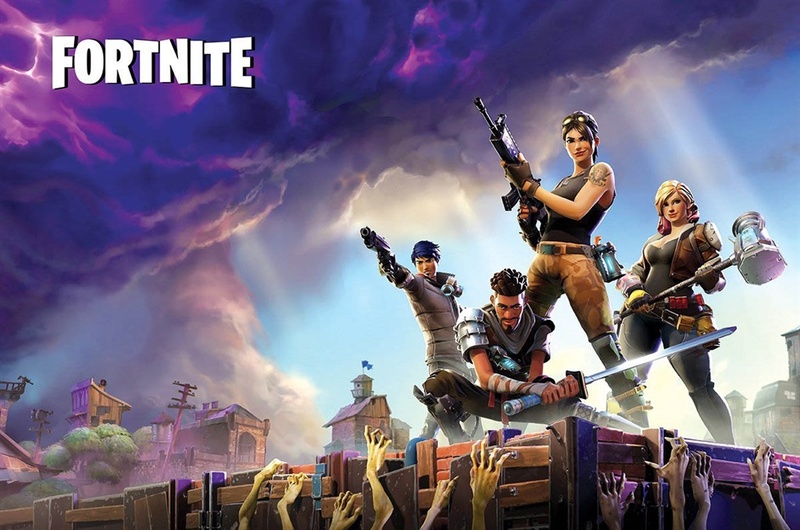 We keep hearing about this Fortnite game, how cool it is, how it's being played at 2am in the morning, and how undeniably addictive kids (and adults) are saying it is. So here’s what we managed to find out about the game and why our kids just can’t get enough of it. Fortnite is a co-op sandbox survival game. That is a game in which players can work together as teammates in a virtual dystopian world to kill bad guys (in this case zombies) or other players in a Battle Royale mode (in which case 100 players fight until someone is the last man standing). The game is available for download on Microsoft Windows, Mac, PlayStation and Xbox and is completely free, unless you’d like to buy clothes, guns and gadgets to increase your performance. Also read: Do you check the age ratings on video games? From the video trailer we can understand what Maseeh means – I mean it’s no Resident Evil and there are forts! I’m pretty sure we all played some version of this game when we were growing up and if not, we watched a cartoon about fighting bad guys – before doing a live action adaptation of it in the living room. Is Fortnite really all that addictive? After watching the trailer you’re probably wondering, “What’s so bad about this game?” and “Can it really be all that addictive?”. “It is very addictive because it’s so hard to win but also very possible to win,” explains 21-year-old Imtiyaaz Abdurahman, a student at the University of the Western Cape. He continues, “So now there’s a new gun coming out with a thermal thing so you can pick out where people are. They’re constantly making the game fun. Recently they had that deal with Marvel where Thanos was in the game during the release of Avengers. You could play as Thanos and you could have his powers. So maybe this is the problem, then? Maybe the game has been so well thought out and there’s always this desire to do better, to earn virtual currency to improve your performance and make it all the way to the top (and stay on top) that the game does actually become addictive. Gaming addiction is relatively new. Only in recent years have online platforms opened up and provided easier access and opportunities for children to actually play a game excessively – to the point where they’re making Skype calls in the early hours of the morning to have their friends come online for some Battle Royale showdown. But gaming addiction is real, and in January the World Health Organisation (WHO) listed gaming addiction as a mental health condition. These signs and symptoms, he says, includes withdrawal symptoms, feelings of anger, depression, restlessness and irritability, preoccupation with thoughts of previous online activity or anticipation of the next online session, and lying to friends or family members about the amount of time spent playing, to name just a few. So just like any other addiction, games tend to draw players in by creating some sort of desire to accumulate rewards within a virtual reality in which they know they can succeed. Hofmeyr says producers use risk factors, such as possibly becoming attached to the story of the game, the use of violence and escape from real-life situations as a way to make games more addictive. So although Fortnite itself is not a graphic game and may not be bad per sé for your kids, gaming in general might be more addictive than we think. While we aren’t suggesting you keep your kids away from gaming altogether, you might want to consider limiting screen time before they become addicted to a particular game, discussing possible risk factors of the game, or simply playing the game with them so you’re aware of any and all lasting psychological effects it might be having. And watch those age restrictions. Do your children play Fortnite? Do you think they might be addicted to the game? Tell us by emailing chatback@parent24.com and we might publish your story on the site. Do let us know if you'd like to remain anonymous. Zombies: From brain-eating to brain-boosting?